The internet’s favorite joke cryptocurrency Dogecoin has recently experienced its largest spike since March, and subsequent fall. However, people are still hyped for the Dogethereum demo, as well as starting a petition for the e-commerce site Amazon to accept Doge as a form of payment. DOGE rose more than 70% in only two days, up to around USD 0.00692. This is the first time the coin has reached more than USD 0.006 since the beginning of March this year. Dogecoin’s rally was supported by its increasing trading volume which went from a low of little under USD 2,000 per 3-hour period to well over USD 20,000, an increase of about 900%. Although the value of DOGE/USD has since fallen and stands at USD 0.005225 as of the time of writing (UTC 08:30 AM), the hype surrounding these recent developments has not. As their fans like to put it, “DOGE is stable. 1 doge = 1 doge always.” Although part of the community asks whether DOGE is really the coin “we want to see used in one of the first major retail applications,” they are quickly shushed by the rest. User u/developersfund says in a related Reddit thread, “YES it is. Dogecoin is the most loved coin by the majority of users.” Meanhwile, SuperNewk concludes that "Doge is the true vision of Dogoshi Barkomoto", referring to the mysterious creator of Bitcoin Satoshi Nakamoto. 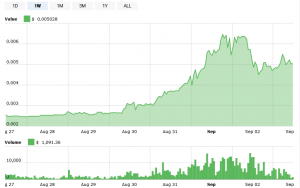 In either case, the surge has been attributed to the release of the Dogethereum alpha version. 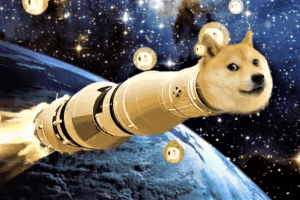 Dogethereum is a bridge between Doge and the Ethereum platform to create a payment system promised to be “faster and smarter than ever.” However, the official Doge Twitter account clarifies that it is still just a demo: “I've seen a few places call it a launch and I don't want people disappointed it's not ready for general use yet,” the tweet reads. Meanwhile, last week, Yahoo! Finance, one of the world’s most popular finance-centric sites, revealed that it was adding support for DOGE trading in its ecosystem. DOGE is joining BTC, ETH, and LTC in an app by Yahoo and TradeIt, currently only for IOS, although Android and desktop versions are also set to follow. Moreover, a petition to add DOGE as a supported form of payment to the Amazon e-commerce app has also been started, and has collected more than 9,000 signatures out of its goal of 10,000 as of the time of writing. The community considers DOGE the cryptocurrency best suited for this role: “Dogecoin is fast, cheap, and stable. 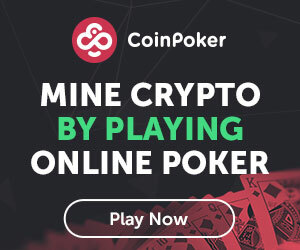 It is stable in value, has the lowest transaction fee of other major coins, has a huge supply of coins and has a very large, active community with on-going development,” reads the text of the petition.